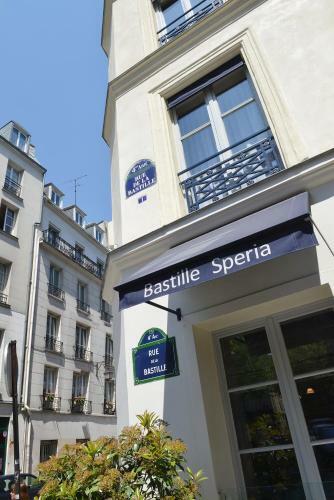 The Speria Hotel is located in the trendy Marais district, between Bastille and the Vosges Squares. It offers 24-hour reception and modern style accommodations with air conditioning and satellite TV. 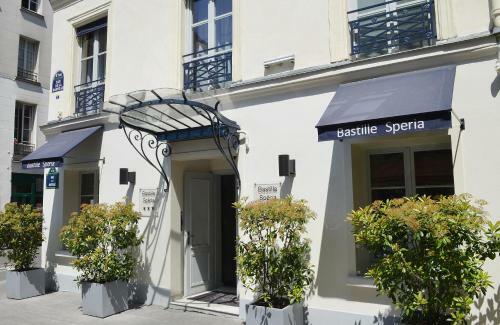 The Bastille Speria provides rooms with en suite facilities, featuring a bathtub and a hairdryer. They have a working area with a desk and a telephone. All rooms are accessible by lift and dry cleaning service is available. A buffet breakfast is at your disposal every morning and can be served in the comfort of your room. You can also relax in the 2 lounge living-room, and enjoy daily newspapers. 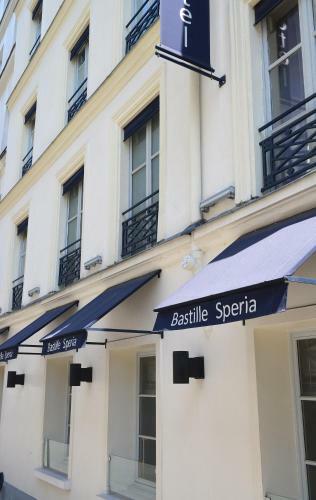 The multilingual staff welcome you 24/7 and Wi-Fi access is available in the entire Bastille Spéria hotel. Place de la Bastille and its famous opera house are just 350 metres from the hotel. You can also walk to the town hall and the Georges Pompidou centre in 20 minutes. Public parking is available nearby. Rooms include air conditioning and satellite TV. They also have an en suite bathroom with a hairdryer. Rate: € 109.60 ... € 326.00; select dates below to get current rates.